Ever since I began writing about food, I’ve had some strange sleeping habits. I have a tough time sleeping anyways but if I wake in the middle of the night, I start thinking…and thinking…and thinking. My mind is awash with ideas for blog posts or recipe creations, and I get so excited about what I’m creating in my head that I have a heck of a time going back to sleep. I go directly to my computer when I wake up, and begin typing up my middle-of-the-night creations. Sometimes they’re brilliant, unique ideas, sometimes they’re really quite wacky, and sometimes they’ve already been done. A couple of nights ago I was thinking about Pumpkin Snickerdoodles. I googled them as soon as I got up and found that one of my Twitter friends had already made them. I printed her recipe and adapted it slightly to make my own Pumpkin Snickerdoodles. They’re a typical snickerdoodle recipe (with added pumpkin puree)- rolled in sugar and spices and all, but they were missing one ingredient that Snickerdoodles typically have: cream of tartar. I didn’t add it to the recipe because I wanted the pumpkin to be the star flavor, but I’ll add it when I make these again. I love the flavor it imparts to snickerdoodles. The first tray of cookies I baked did not flatten out in the oven. They kind of stayed in little round cakey balls (still good, just not the shape I was looking for). 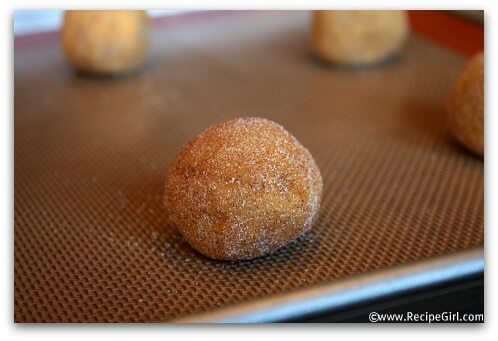 So with the next tray, I crushed the balls with the bottom of a sugar-coated glass before baking and all was better. The cookies spread out and turned out perfect. From the outside, you really can’t really tell that these are a pumpkin cookie at all. They look like regular snickerdoodles. But break them open, and you can see the golden pumpkin inside. They turned out to be a slightly soft, cakey sort of cookie with a crunchy spicy-sugar coated exterior. The pumpkin flavor is pretty mild but you can tell its there. Dip these in milk and you’ve got a good breakfast… errrr dessert! Love snickerdoodles. Not sure about these. Have mixed feelings. I tried an egg nog snickerdoodle two Christmasses ago and love it. Has the true snickerdoodle flavor w/ a bit of nutmeg but these. . . I’m not sure. I made these last year and loved them! I will definitely be making them again this fall season. Not what I was hoping for…not very flavorful and is missing one key ingredient for a true snickerdoodle…cream of tartar! I didn’t realize this until after the fact though…won’t be making these again. I hear ya on the cream of tartar. I can never understand it when I see classic snicker doodle recipes that do not have cream of tartar in them, but that flavor doesn’t quite work w/ the pumpkin in this recipe. Sorry you didn’t like them! What a perfect spin on the already perfect snickerdoodle!! I love snickerdoodles! 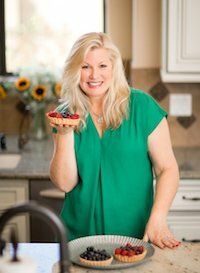 I just perfected a gluten free recipe last Christmas, now I can’t wait to try these with pumpkin! Great recipe! The Brown Eyed Baker linked me here from her “Best Pumpkin Recipes” post! These were gross. I was so excited when I saw them and had my hopes up. When I took them out of the oven and tried one, all I could taste was flour. There was even an odd taste lingering after eating it. The cookies turned out more like biscuits. I was so very disappointed because not only are snickerdoodles delicious, but so is pumpkin. I suppose I’ll just have to keep looking for a recipe. Beautiful photos and description. 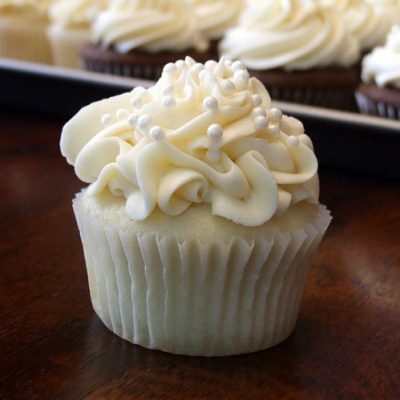 I will for sure be making these! 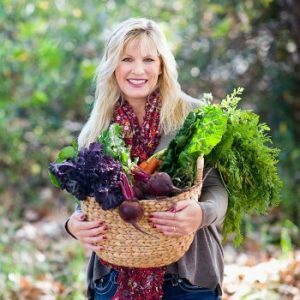 love your gorgeous blog! 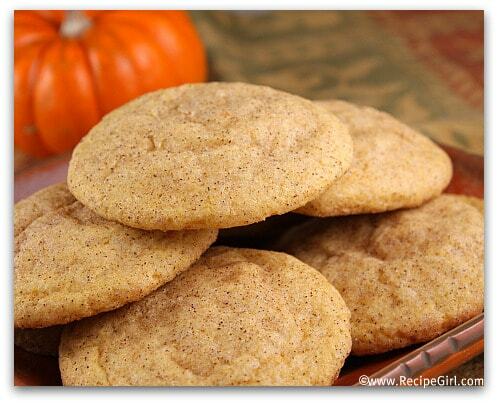 and these pumpkin snickerdoodles…wow wow wow! Dear heavens! Snickerdoodles are among my favorite types of cookie, and pumpkin in anything baked is fine by me… So perfect for the season! Oh yum! These would make a perfect snack to keep on hand in my house. So very addictive! What a great idea, they sound so tasty and addicting! Yum! 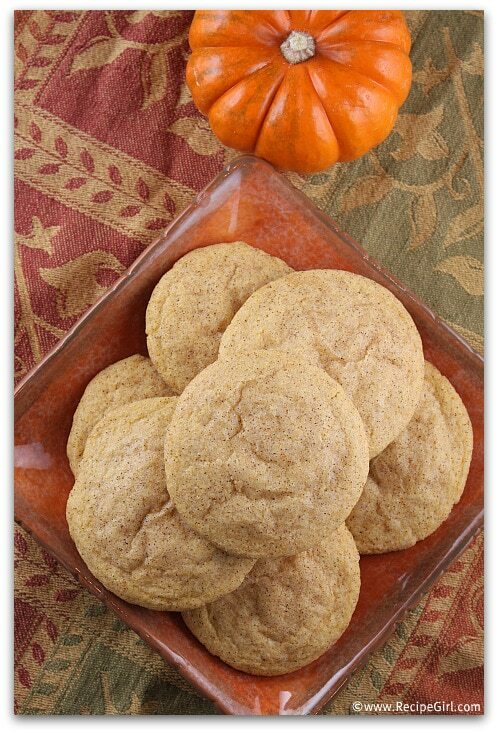 Pumpkin snickerdoodles! Super idea and I’m in a cookie mode right now. 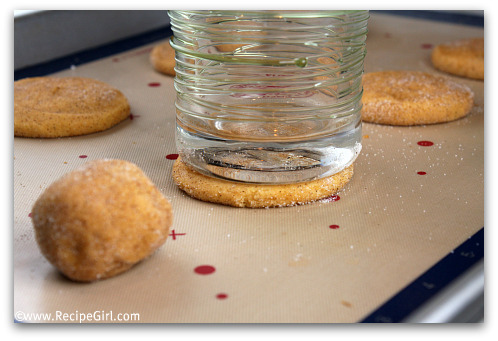 What an amazing idea – love snickerdoodles! What a great idea! Snickerdoodles are one of my favorite cookies. I’m definitely intrigued by the pumpkin. 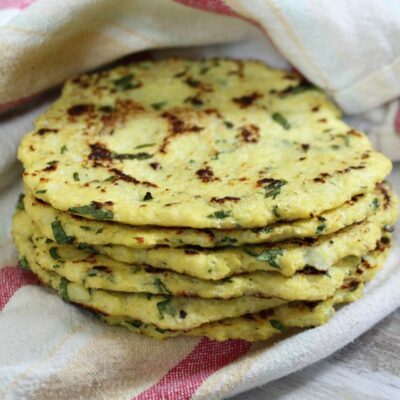 I saved this recipe to try them out this weekend. Thanks.